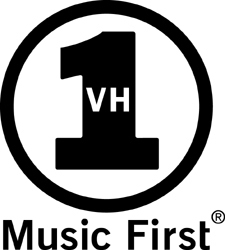 The music video plays a large role in the success of many artists and with sites such as YouTube and Vimeo almost anyone with talent has the opportunity to be an internet sensation. Time.com has put together a list of 30 Music Videos from the '80s to the present that they feel are the best. Are any of your favorite videos on the list? 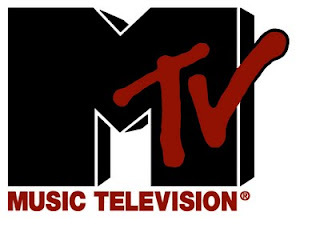 "Thirty years ago, on Aug. 1, 1981, MTV began to beam a budding art form — the music video — into homes across the U.S. TIME takes a look back at the most memorable clips from three decades' worth of music television"
Synchro Arts Vocalign Project is a plugin that was originally made for the film / TV industry so that the voiceovers would match perfectly to the audio on the film / video. It was quickly adapted to music editing as it allowed not just vocals but almost any sound to be perfectly matched after the fact. "Pro studio power users and post-production masters have been using the magic of Synchro Arts' VocALign for years. With it, you can almost instantly match the timing of one audio signal to the timing of another audio signal. VocALign Project 3 uses sophisticated techniques, so that it can work with any source — be it a speaker, a singer, an instrument, or just a sound"
It only does timing not pitch. Have you ever wondered how certain vocals sound larger than life ? 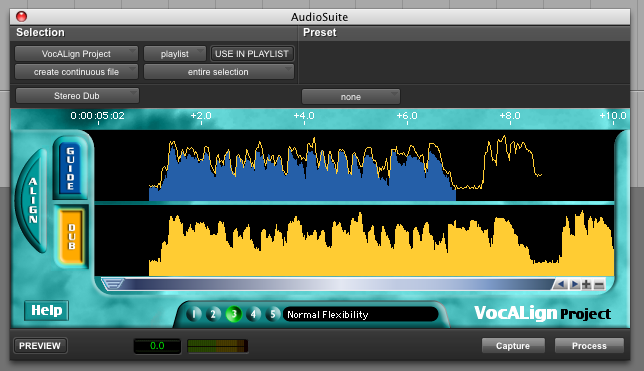 That's because its actually multiple tracks vocal aligned to sound as one. You place the main vocal dead center then pan the doubles on either side. How far you pan the doubles will depend on the song and how dramatic an effect you desire. The key to it is to pan them and adjust their levels so that they sound like a bigger wider version of one voice and not 3 separate voices. This can also be done with instrument parts such as double tracked guitars. Vocalign is pretty simple to use. Click on GUIDE then select the track you want to be the guide. Click on capture then select DUB and choose the track you want to align and click capture. Click ALIGN (see pic) and then process. It's that simple. You can fine tune the settings by choosing the flexibility parameter in the middle of the interface but normal usually works fine. There is also a Vocalign Pro ($585) which is basically a more powerful version with additional features such as multitrack alignment, sync points and five minute signal lengths to name a few.